The Ramblings of an Endurance Junkie: Xterra East Championships 2015 Race Report....T'was hot and hard! 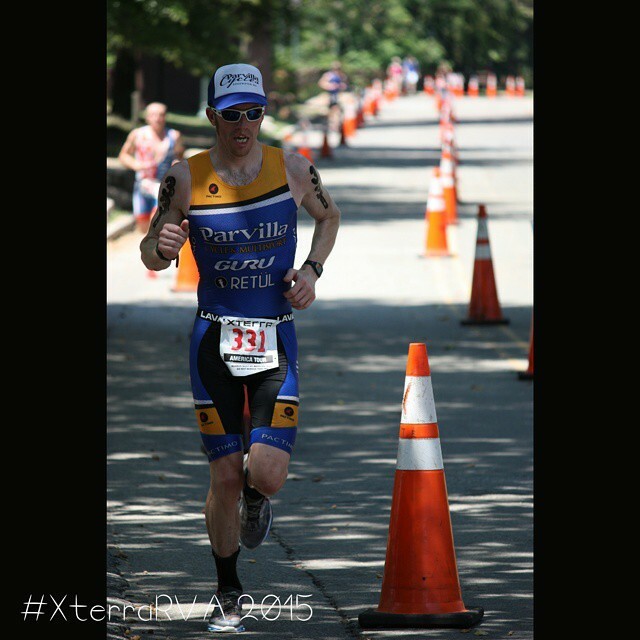 Xterra East Championships 2015 Race Report....T'was hot and hard! What a great race and weekend! 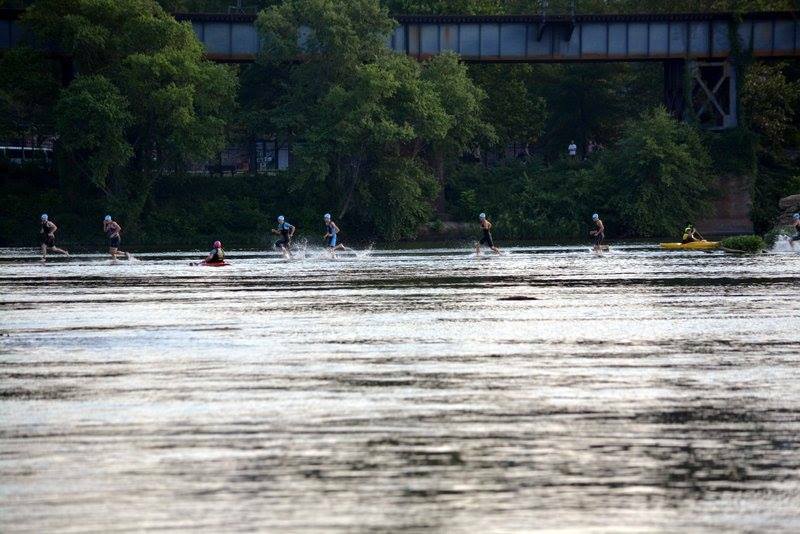 Over the weekend of June 13/14 Sarah and I headed down to Richmond to take part in the Xterra East Championships race weekend, the 3rd stop in the US Pro Series. Yup we both took part! We headed down on Friday afternoon and after spending a few hours on I-95 I was able to preview the Buttermilk trail section of the bike course. I had heard lots about the Xterra Richmond bike course( check out the course preview here) so really wanted to see the technical sections and prepare for the race on Sunday. 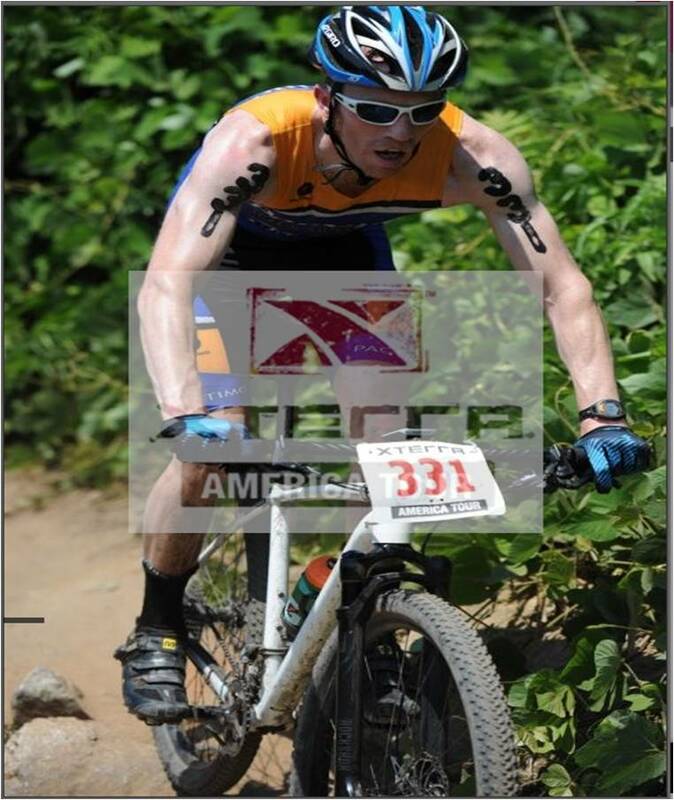 I am glad I did as there are some gnarly sections that would catch you unaware on race day. It was probably at this point that I realized that my MTB skills are still gradually coming back after a 10 year layoff. I knew I would be losing time to the uber bikers on this course... Oh and it was a hot and humid 92 degrees that would hold over the weekend. The exciting part was that on Saturday Xterra were hosting a 10km/21km trail race. Somehow I has persuaded Sarah to enter the 10km with the promise that I would run it with her. Not ideal prep for me ahead of the tri on Sunday but excellent that this gave Sarah the motivation of a race and besides it would be fun! Sarah had nailed her training over the previous 6 weeks and really got consistent with her running. Yes she was nervous ahead of the race having never done a trail race before and the threat of the Mayan Ruins wall and the dry rocks didn't help. We had a great time though and completed the race in 1hr 9mins which is awesome for a technical 10km. Bad news is that she finished 5th in her age group just 4 secs behind a podium slot! She is already planning her revenge for next year. After the 10km I got out onto the bike course again to see the rest of the trails. Good luck/bad luck happened halfway round as my chain snapped and I didn't have the parts to repair it. Good luck that it didn't happen on race day - bad luck that I was out in the sun and 3 miles from the race village. After a combination of running/coasting I got back to the village got the chain replaced and started the rest of the days recovery by binge watching Flip or Flop! With a 10km and too much time on the trail I was feeling pretty tired, not ideal ahead of the race. Xterra races don't usually start until around 9am so the alarm on Sunday didn't come around too early. 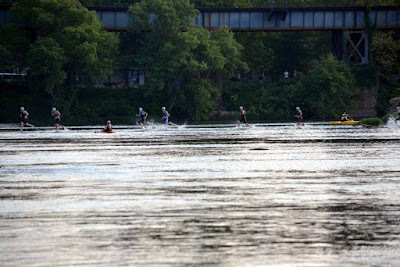 After setting up transition it was good to the lines that the pro field took through the swim course which you is certainly not typical. There are zig zags, sand bars, rocks and a mid swim run....definitely not your usual swim course. We headed off at 900am and I felt good in the water. I swam good lines, didn't get pushed off by the current and exited the water in around 20th place. Only down side was stepping on a rock during the middle of the swim which actually cut my foot. It felt bad to begin with but by the end of the swim I had forgotten and it wasn't until after the race that I actually remembered! Through T1 and onto the bike! It was getting toasty and hydration and nutrition would be key for the 2 lap, 20 mile ride. 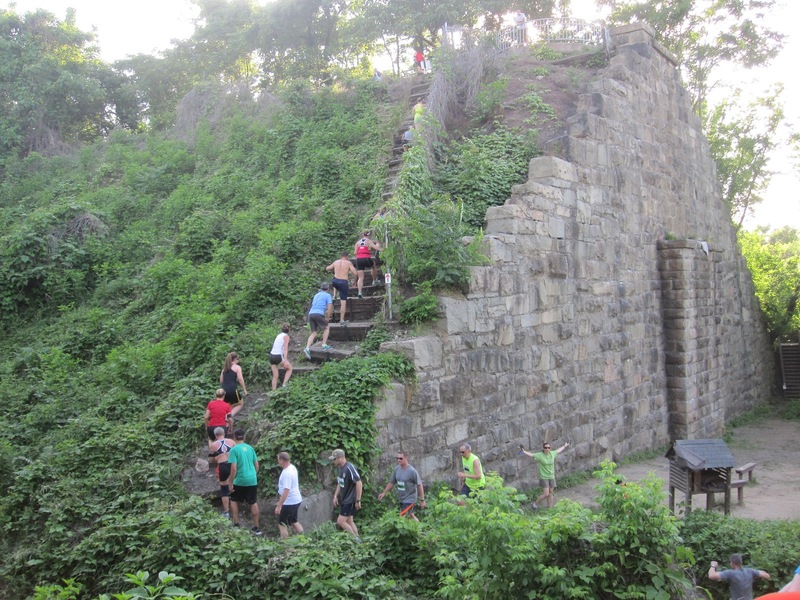 The first mile or so is across the road bridge and then you dive onto the trails bordering the James River, the Buttermilk trails leading to Forest Hills and then onto the North Trails. My aim was a) not to kill myself, b) enjoy it and c) keep it steady. The first few miles saw the uber bikers whizz by and it really is amazing how they blitz the trails, I have a lot of work ahead of me but I think that will come in time. I have to remind myself that this is the first season of Xterra and I have probably ridden my MTB about 10-12 times since getting back on it in January. Despite not being as quick as perhaps I would have liked, I stayed in the hunt and the 2nd lap got kind of lonely as the field was much more strung out. I also took better lines as I was learning the trail more, so much so that my 2nd lap time was almost identical to the 1st lap time. Having run the 10km with Sarah the day before I knew what I was in for and felt that with the hot weather and the tough bike course it wasn't going to be a day of laying it down on the run! Much like the bike course, it starts off tame along the canal and then throws you up the Mayan Ruins wall and onto the trails. 2.5 hours into a race this feels as bad as it looks! My plan was to just keep it steady and to be honest I didn't have much left for the run at all....even if I had wanted to push the pace I didn't have anything left. The Mayan Ruins felt as bad as it looked and the Dry Rocks were both hot and hard. Races are funny things though and as bad as you can feel you never really know how the rest of the field is feeling. I made my way around the course at just over 8min/miles and crossed the line in 3hrs 04mins. Yes I was pleased to have finished a hard course but was a little disappointed in the time. It felt slow and I was totally spent. One of my goals coming into the race was to be close enough to the pointy end of my age group to see if I could grab one of the 3 automatic qualifying slots for the Xterra World Championships in Maui in November. With the race I had I didn't think I would be even close so it was with much surprise that I finished 4th in the age group and now have to wait on a potential roll-down slot if one of the top three do not accept. Again no matter how you are feeling it is always critical to push yourself to the end as you never know what is really going on with the rest of the field. 1 - Technical MTB skills are critical. 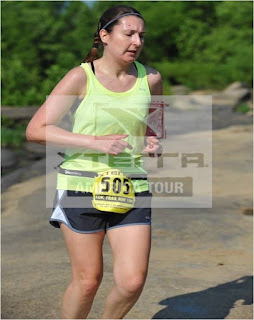 2 - Knowing the course really helps....next year at this race will be even better. 4 - Despite my constant lack of swimming, I seem to be "ok". 5 - Overall strength needs to improve over simply swim, bike, run strength. 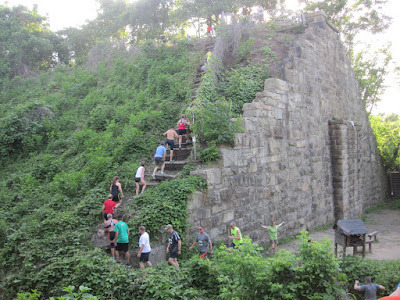 On-wards to the next Xterra race on July 12th at Xterra Ex2 at Rocky Gap. Parvilla Cycle & Multisport, Pactimo, Retul and of course Sarah!